We'll pick you up at the airport and take you to your hotel in class if you like. Or let us pick you up at home and drive you straight to your gate. King Limousine services are second to none when it comes to hotel or airport transportation. For about the same price it will cost you in gas and parking at New York International, we can pick you up and drop you off at your gate. Finally, no more hassle getting your car parked. Just one call to King Limousine is all you need. King Limousine Tours and Sightseeing Services are undoubtedly yet another instance of how we're to support your ultimate New York Limousine Service expectations, King Limo chauffeurs have in mind the places they serve totally - it truly is their profession. The exact result: We are able to schedule individual and group trips as well as sightseeing and tour outings any place in New York. Prom night and homecoming. A perfect time to see your kids grow up. It's one of the most important nights for teenagers. So why not make it extra special for them by calling King Limousines. Weddings are just not "picture perfect" without a limousine for the bride and groom or the reception party. You don't have to skip the Limo, if you are on a tight budget. Give King Limousines a call and we'll help you find the perfect limousine for your wedding. We're one of the Best kept secrets in New York with affordable limousine services. 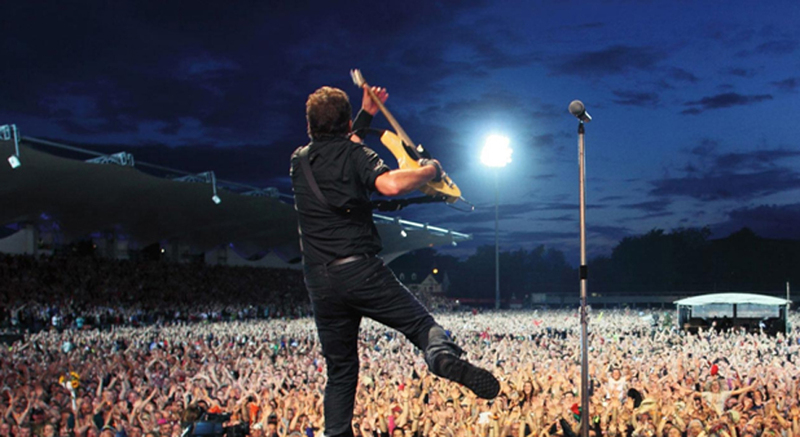 You don't have to be Bruce Springsteen in order to be treated like a genuine rock star. You just need to know about the rock star services you'll get from King Limousine service. We'll pick you and your friends up at your door, and drive you straight to the concert or event. When the show is over, we'll come back and meet you at the concert entrance. People around you will think you're part of the band or immediately family.